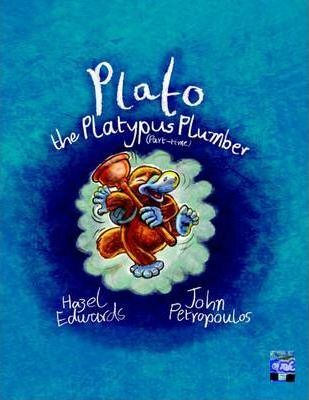 Plato, an eco-warrior and part-time plumber, fixes watery problems like leaking taps, and he also fixes grumpy people with jokes or a smile spray. His toolkit is legendary. Despite ferals along the creek bank, Plato is on call to help Zanzibar and his family who are renovating their old creekside house. Aimed at those interested in imaginative problem solving, this book will appeal to boys and girls keen on animals, nature or wildlife. And it also asks watery questions about climate issues, such as drought. Best known for Theres a Hippopotamus on Our Roof Eating Cake, Melbourne based Hazel Edwards www.hazeledwards.com has also written YA novels & adult non-fiction including Difficult Personalities.